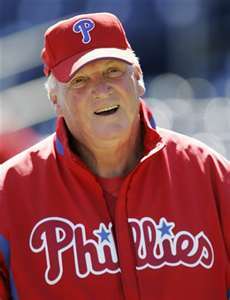 Over the next 28 days Philly Pressbox (https://phillypressbox.wordpress.com) (@phillypressbox) will be doing a review and analysis of each Phillies player, Manager Charlie Manuel and the coaching staff leading up to Opening Day 2012. On Day 6 we preview Vance Worley. Vance Worley – The Phillies had their eyes on Worley for a long time. He was drafted in the 20th round of the 2005 amateur draft out of high school but did not sign. 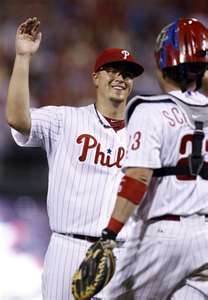 The 24 year old was drafted again by the Phillies in the 3rd round out of Long Beach State in the 2008 draft. Before the end of the 2010 season Vance was in the big leagues. He made his big league debut on July 24, 2010 against the Colorado Rockies. Worley finished the season pitching in 5 games, 2 of them starts, totaling 13 innings. He won 1, lost 1 and had a 1.38 ERA. Vance had an outstanding 2011 Spring Training but did not make the club coming out of Clearwater. He began the season at AAA Lehigh Valley. He was recalled by the Phillies and started his first game on April 29, throwing 6 innings of 2 hit, shutout baseball against the Mets. 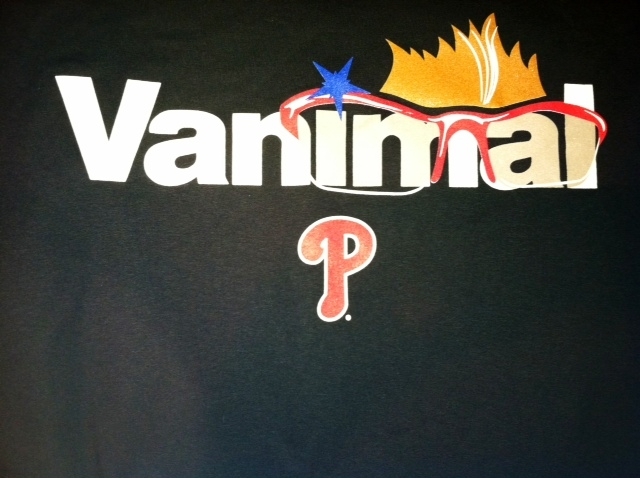 The “Vanimal” had arrived! Worley went on to pitch in 25 games, 21 of them starts, compiling an 11-3 record with a 3.01 ERA over 131.2 innings. He finished 3rd in the NL Rookie of the Year voting. There’s always a concern for a young player, especially a pitcher, coming off an outstanding rookie season of not staying focused entering their second season. Worley has been around town throughout the off season and has become a fan favorite because of his outstanding rookie season, his friendly personality and his nickname. All indications are that Vance reported to Spring Training very focused and ready to help the Phillies chase their 6th straight NL East title. The Vanimal has great examples around him in Roy Halladay, Cliff Lee and Cole Hamels on how to prepare and stay focused. Worley will be competing for one of the final two spots in the rotation with Joe Blanton and Kyle Kendrick. Our opinion is that Worley will win out and fit nicely in to the 4th spot in the rotation. It may be unreasonable to expect great improvement from Worley over his 11 wins in 2011 so we’ll stay close and predict 12-15 wins for him. If he exceeds 15 wins out of the 4th spot in the rotation the Phils will run away from the rest of the Eastern Division. Tomorrow we will preview Joe Blanton.